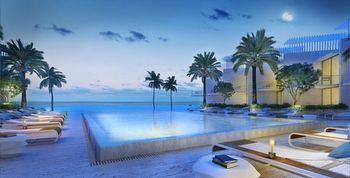 A resort-style infinity pool at sea level will cascade into the ocean while owners enjoy the private pool and beach cabanas. Multi-level signature private club, 300-feet above the sea level, will include hammam spa, massage rooms, infinity edge pools, wine room, private dining, gym and fitness areas, relaxation room, locker rooms and library. Over 50 years ago, Turnberry Associates had a vision to raise the bar in Sunny Isles Beach and offer top-of-the-line community living in resort-like environment. 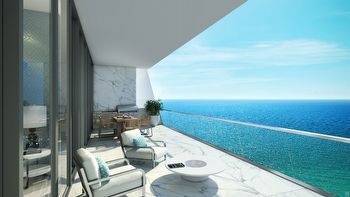 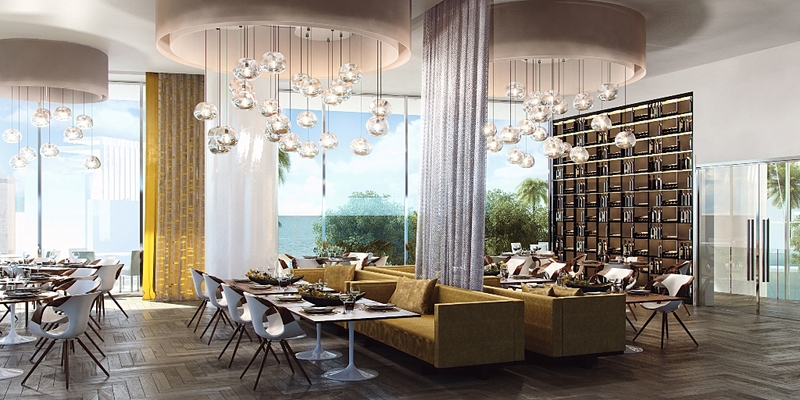 Their best know projects include iconic brands such as Miami Beach's landmark Fontainebleau resort. 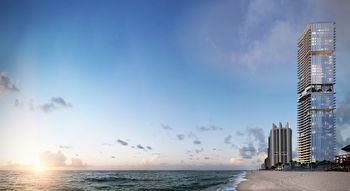 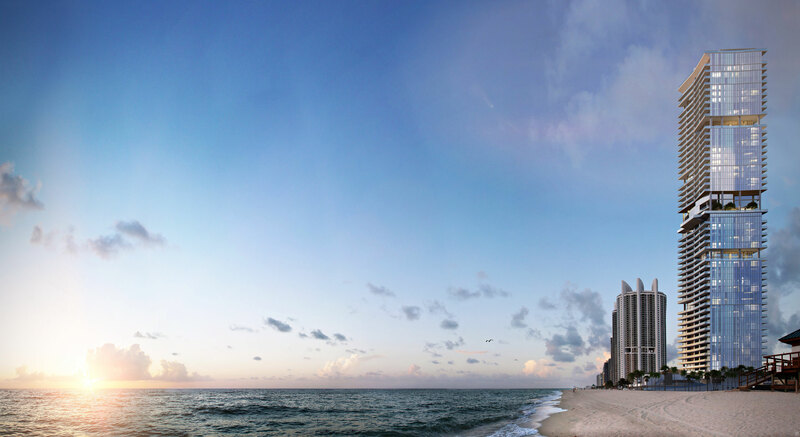 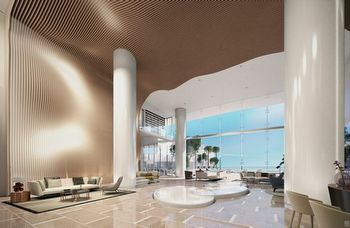 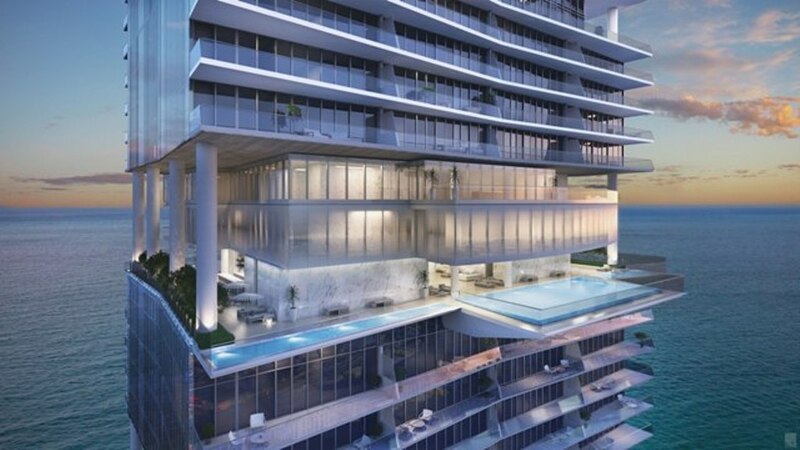 However, the perfect example of the life-style, amenities and service you will get at the new Turnberry Ocean Club will be similar to an already existing Turnberry Ocean Colony Towers built in 2008 in Sunny Isles Beach.